Home / Acta Sanctorum / Index hagiologicus Actorum Sanctorum. 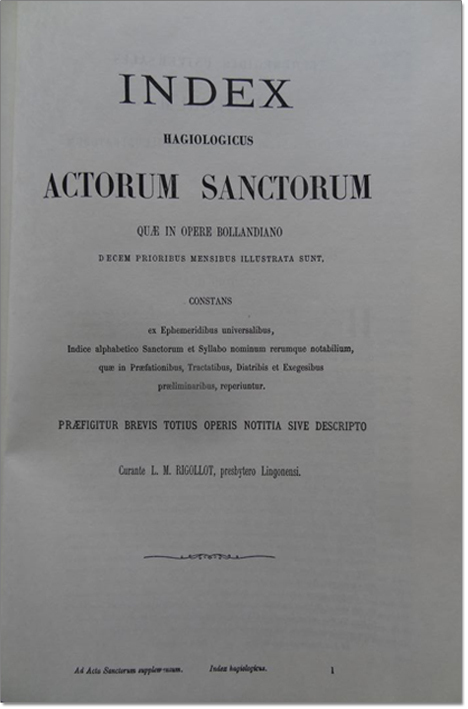 Index hagiologicus Actorum Sanctorum quae in opere Bollandiano decem prioribus mensibus illustrata sunt. 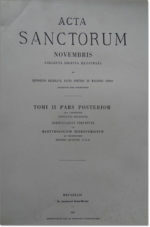 Acta Sanctorum Nov. t. II (Pars post.) 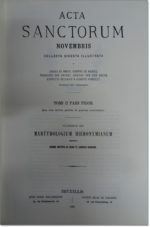 = H. DELEHAYE, Commentarius perpetuus in Martyrologium Hieronymianum. 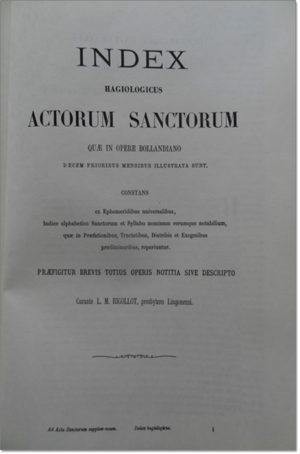 Acta Sanctorum Nov. t. II (Pars prior: 3-4 Nov.) + Martyrologium Hieronymianum. 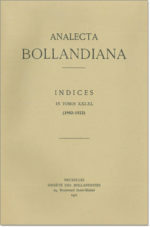 Analecta Bollandiana. Indices in tomos XXI-XL (1902-1922).